Although not exclusively, osteoporosis is mostly associated with the menopause and the changes that happen to the bone with age. 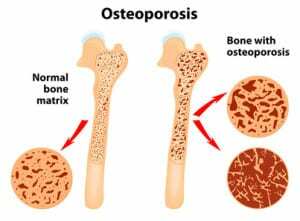 There is growing evidence that osteoporosis is influenced by the levels of calcium, vitamin D, fluoride, phosphorus, magnesium, as well as trace minerals, such as copper (Cu), zinc (Zn) and manganese (Mn) which are essential co-factors in bone metabolism enzymes. Dr Lewis B. Barnett, a retired orthopaedic (bone) surgeon living in Center, Colorado, has a theory that takes into account and explains why magnesium plays a decisive role in the prevention and treatment of osteoporosis. “The mechanism whereby magnesium functions to strengthen bone and combat osteoporosis is, like many functions of the body, quite complex,” Dr Barnett explained. 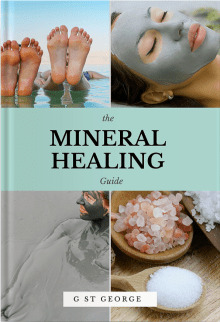 “Our studies, however, have convinced us that the mineral is important-perhaps the most important single element in bone health. Barnett analyzed the soil and water content of the two areas and concluded the major factor in bone health was the mineral content of the water supply. Analysis of the water showed that calcium alone could not be the element responsible for combating osteoporosis. The Hereford water contained only four parts per million of calcium while the Dallas water contained 23 p.p.m. There were only slight differences in the fluorine, iodine, and phosphorus content of the water. Barnett considered these differences statistically insignificant. In conclusion, although magnesium undoubtedly plays a major role in preventing and treating osteoporosis, its supplementation should go along with other minerals and vitamins, as well as healthy diet and exercise, for a balanced and productive response of the body systems to the treatment. Oral supplementation is the method used by most people, with varying effect. The problem is that if the digestive system of a person is impaired, then much of the oral magnesium passes through the body unabsorbed. A sufficient increase may lead to loosening of the stool and even diarrhoea, and this may further prevent efficient absorption of magnesium. Transdermal supplementation has been proved to be by far the quickest and most efficient method which can be used both at home and at clinics, without having to resort to intravenous injections. 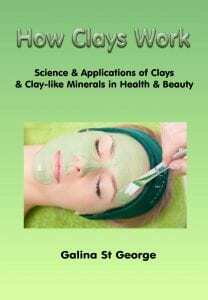 The skin is the largest organ in the body with a wonderful ability to absorb certain substances, including magnesium ions, by osmosis. Magnesium oil massage – massage the oil into the body, 3-4 times a week, or daily. Magnesium oil spray – spray neat oil, or mixed with water in 1:1 or 1:2 ratio is too strong and feeling itchy, every day, before bedtime. 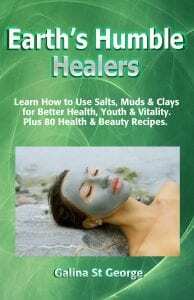 Magnesium bath – add 500g of magnesium chloride flakes or Epsom salt into a bath. Take daily, before bedtime. Foot bath – add 250g of flakes into a foot bath, take daily. This provides a more localised action but is still quite effective. 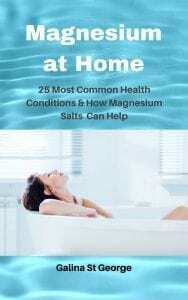 Far-Infrared Magnesium Wrap – apply magnesium oil on the body, wrap yourself up in a warm wet sheet, then get into a warmed-up Far-Infrared blanket on medium setting for about 45 minutes. Always check with your medical doctor for any supplementation – oral or transdermal, since certain conditions and medications would mean exercising caution in this respect.